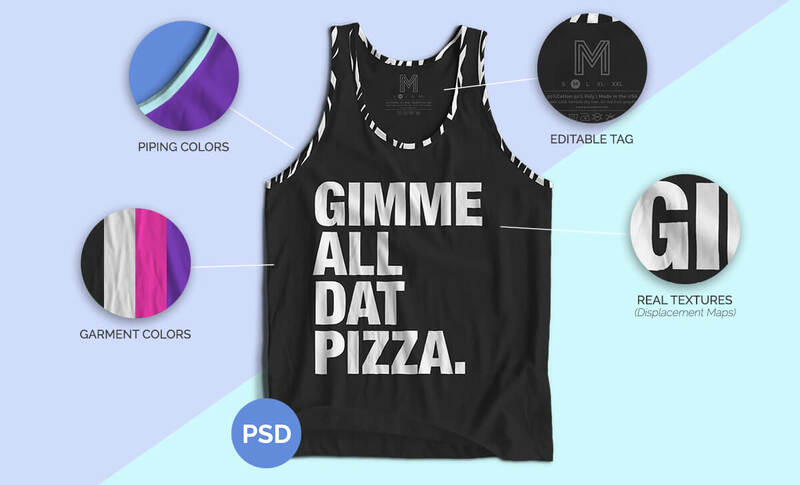 T-Shirt mockup is a major resource which is going to decide the outlook of your t-shirt store. Though there are plenty of resources available online, major of them are not usable and of low quality. So, we have decided to come up with this guide to showcase some of the mockups available online with better quality and the product style inline with Qikink’s Products. Print on Demand and T-Shirt drop shipping in India have come a long way now from being a niche segment tried by few drop shippers. There are professional organizations run by passionate people to cater to the needs of drop shippers, graphic designers, digital marketers or anyone who is passionate enough to march sales online. In which the mockup generation is an integral part. Lets dive into the online resources which are paid and free. Palceit is a large directly of image and video mockup for a variety of products from the t-shirt, phone cases, coffee mugs, etc. They also have a pretty simple interface, you can select a mockup, upload the design and download the mockup. T-Shirt Mockups with white models, black models, Asian models, garment only mocks, outdoor mocks, no background mocks etc are available in a variety of styles. There is a monthly subscription involved, when you are doing some 10-20 orders a day, this investment of place it mockup will worth to take it the next level of brand image and sales. Photofic offers garment only mockups for a variety of style. It charges a one time fee for the complete download of mocks. For any requirement of garment only styles, these options suit better with having almost all the styles in one place. This is also a cost-effective solution while starting a store with one-time payment options which can be included in your investment while starting the T-Shirt store online. Prepresstoolkit is a versatile mockup solution for your online store. There are plenty of t-shirt mockups, polo t-shirt mockups, cap mockups, Hooded sweatshirt mocks etc. It sells everything for a separate price and also via bundles and one master bundle. You can opt for this if you are looking for a simple no background garment only mockups. Creativemarket is a marketplace for creative assets like graphics and mockups. It has got many essential assets to drop ship clients. For any T-Shirt drop ship brands, it can provide all necessary mockups and graphics assets. You can download specific t-shirt mockups from as low as 5 dollars. There are also other resources available online to pay and download mockups. There are also a few free t-shirt mockups available online. Here is the list of some of the free mockups available online for download. Mockupcloud offers a separate free section of quality mockups. It can be explored before the paid resources because it is a part of their paid collection. There are very limited options though. This is an entire website dedicated to free mockups for various products. You can search for t-shirts and other products to find quality mockups for free. There are a variety of options to choose from and download to use on your website for free. You can use this link to download the mockups given by Design by humans here for Free mockups. Mockupworld offers links to a variety of online resources to download free mockups for t-shirts and for other apparel styles. You can browse through them and download if found interesting for your collection. You can check the link here for free t-shirt mockups. Realthread is a collection of free assets for your business to take of. Check out the collection of apparels resources like T-Shirts, v-necks, full sleeves from major brands for free download. Like here for free download.